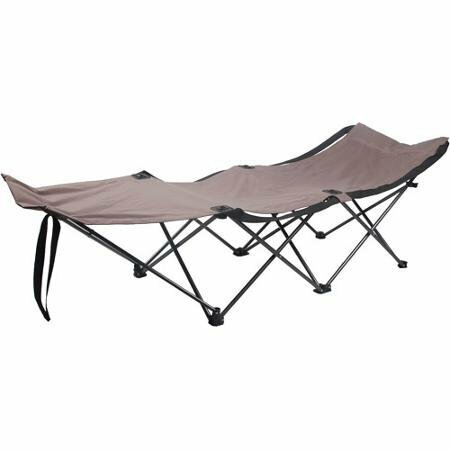 The Ozark Trail Easy Folding Camp Cot provides comfortable support for a good night's rest at your campsite. Set it up inside your tent and place a sleeping bag on top for an instant bed. Made of durable polyester and a steel frame, it opens quickly and folds easily to create extra floor space inside your tent during the day. This folding cot can hold up to 225 pounds. Pair it with other Ozark Trail gear (sold separately) to outfit your outdoor adventures.